Ever needed to note down something about a webpage e.g. login id, frequent flyer number, membership number, tracking id etc. Something that you want to remember when you visit that page again. Click icon and create a note! This is beta software, all notes are written to the Testnet Blockchain on initial install, which can potentially get wiped due to testing. Please use a "Mainnet" Ardor node in the options if you like to have immutability of your notes. 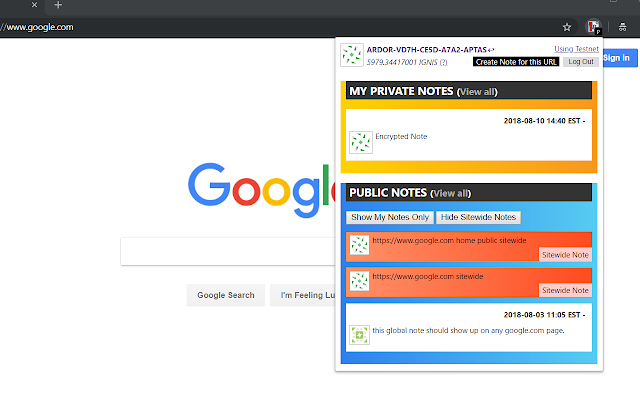 Take private or public notes and access them with a single click. 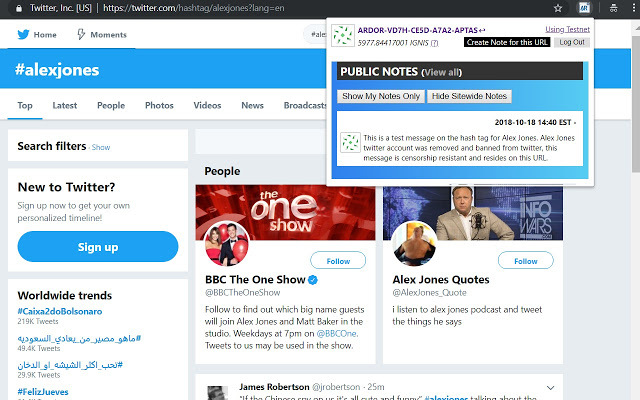 Create public notes for everyone to see at a specific web page URL. Option to add sitewide page notes. Sitewide notes are available for all the pages of the website. 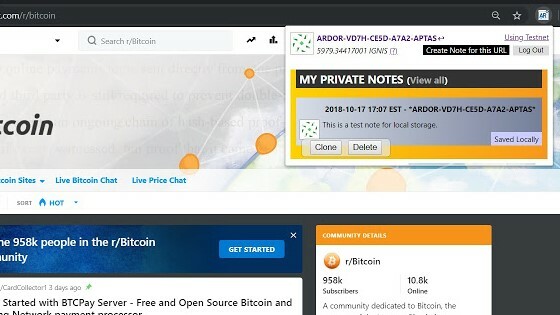 Sync your notes to the Ardor Blockchain Data Cloud. Stored forever. 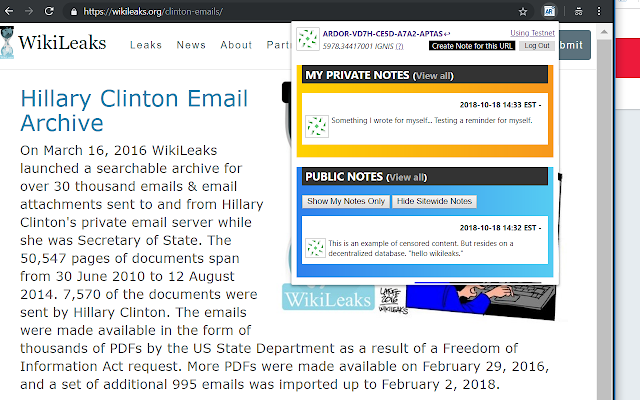 All notes are available through a single page to make it easy to search in your private and public notes. Browser icon changes color if there is a 'note' available for a web page. Multiple computers can stay in sync using sync to the blockchain feature, sign in with same user/pass. No 3rd party to trust. Data stays with the user -- either on the browser or user's Ardor account. - A decentralized application (dapp) with no centralized service provider. - Built using the Decentralized Ardor Data Cloud as the back end database layer. - Secondary passphrase for additional encryption which can be different for each page. - Private and Public notes are censorship resistant and immutable.